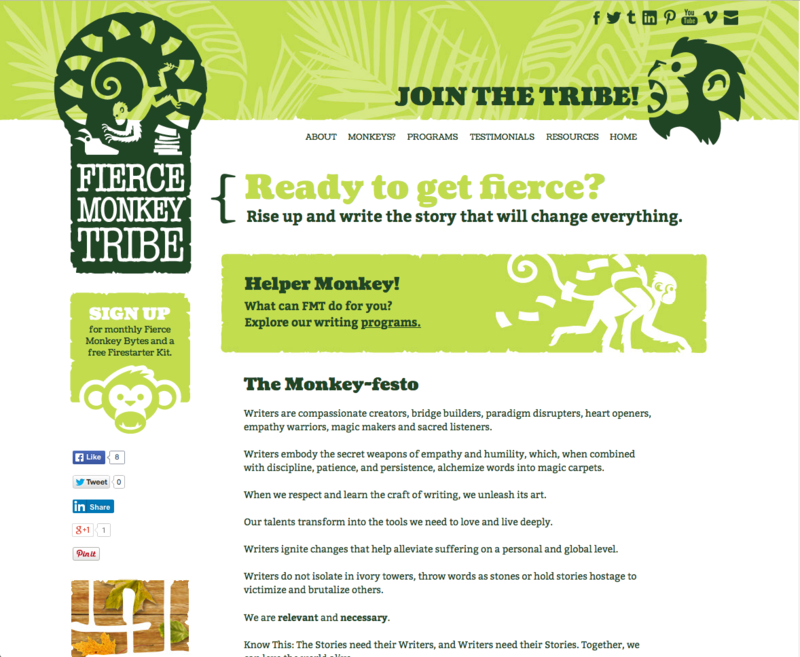 Site design for Fierce Monkey Tribe, a fun and playful writing program and workshop. Fierce Monkey Tribe is a writing program and workshop. This site needed to feel light, fun, and have a sense of play to it as that is the approch of the program. We used bright colors and custom monkey illustrations to accent each of the sections. You can see the whole site at www.fiercemonkeytribe.com. 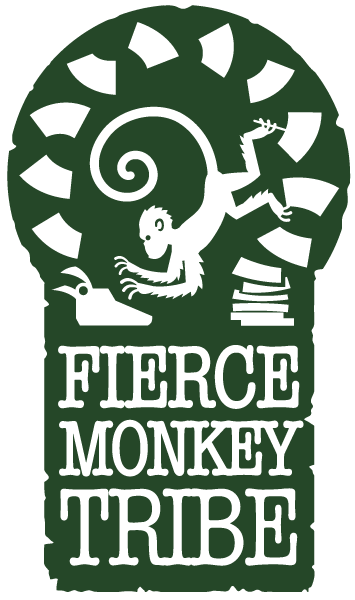 Logo for Fierce Monkey Tribe. The ridiculously busy monkey illustrates the cyclical nature of the writer's process. The keyhole shape, which implies looking into the unknown (and possibly unlocking secrets within), was a happy accident. A jungle print and primitive edge treatments accent the pages and all FMT collateral. The site features custom graphic monkeys to keep the mood light and fun.